Very cool concept with an amazing amount of content included. I understand people saying they don't think it fits the theme and saying they've seen it before, but I think the application of it with this type of game is uniques and ties it in. The graphics are great and the sound effects are pretty good. I think the camera can make things a little difficult when you rotate the cube. I also noticed a lot of issues with the bullets teleporting around when the cube was rotating, and I had issues with weird physics with dead towers when the cube was rotating. Sometimes this ended up throwing me off so much I died. 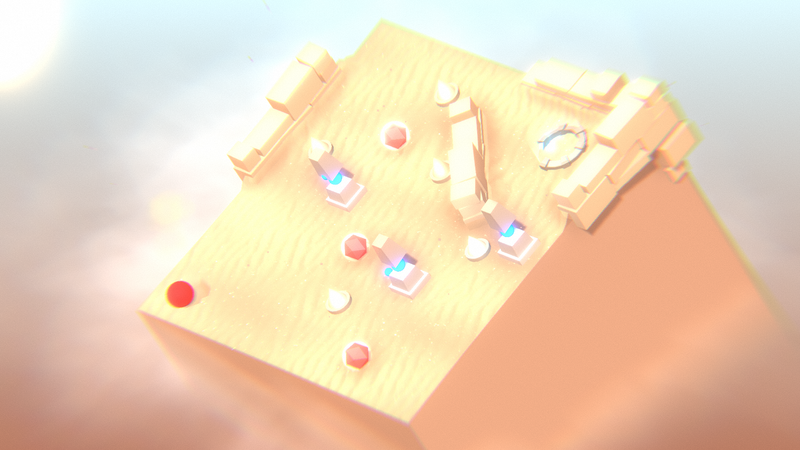 Also, the bright white auto-exposure when the cube is rotated towards you makes it difficult to see things. Stellar visuals but at the cost of tight gameplay. Holy screen shake, batman! The screen-shake is waaay too intense. Additionally, I couldn't figure out to deal damage to the boss. The bullet waves were near impossible to dodge given the huge player hitbox and controls. Reducing the player hitbox size, stage tilt intensity, and screen-shake would have made this game incredible. neat stuff. not sure where the "bullet hell" part is, but it's till a nice concept. my main gripe with the game is that movements are way too aggressive - the stage tilts too much and the camera shake is too strong, which made the game very hard to play or see at all. Wow really nice game with really nice executions. 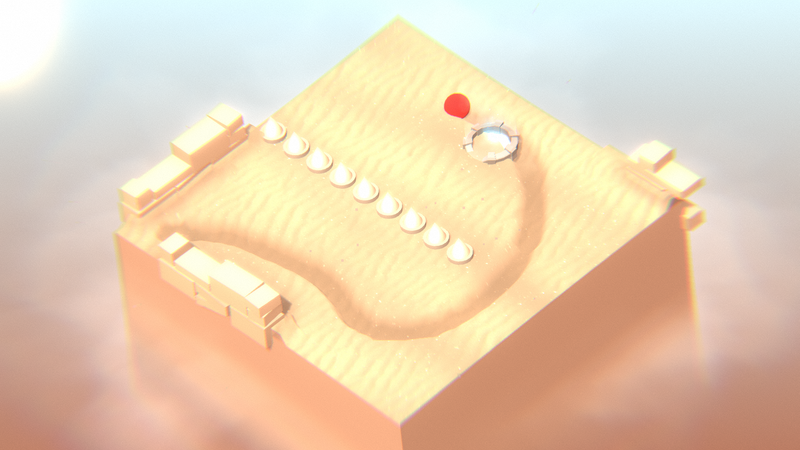 It looks amazing, there is tons of finely tunes details like the sand, physics objects etc. The music is chills and the sound effect really punchy. Really nicely done. The level design really sold the game to me. Each now level was a small puzzle/challenge to figure out. These bit size gameplay bit create a really nice pacing in the game. For a bullet hell however there is not so much bullet :) (well except at the final boss which I skipped... way too difficult) The bullets are sometimes difficult to see (in some levels with more geometry and in general a bit difficult to dodge. Also the screenshake was turned up to eleven. TLDR: Game feels great but you overdid it. 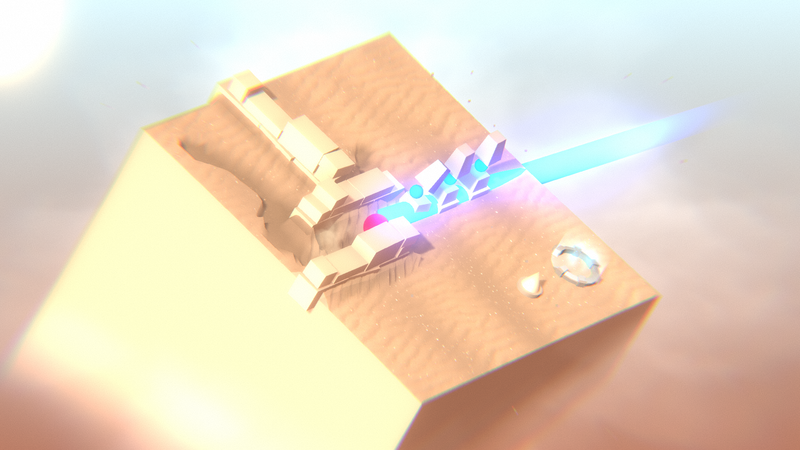 Came for the laser, and stayed for the pyramid. 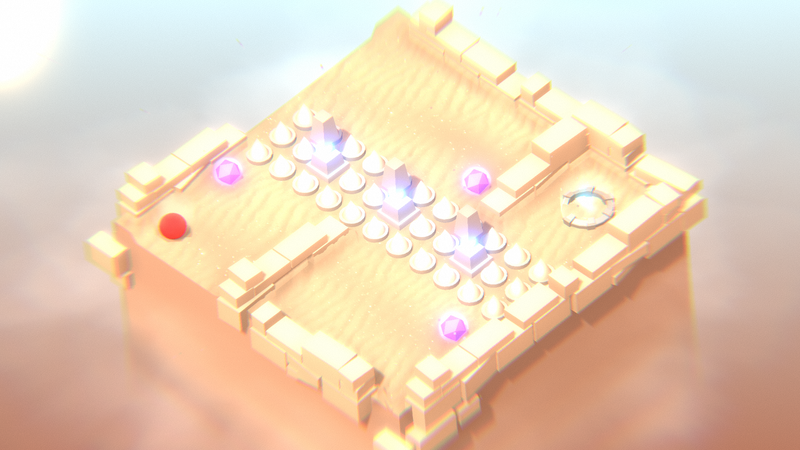 The difficulty might ramp up a bit too much on that last level because the vast tonal shift. But both in their own rights are great concepts I quite enjoyed. Feels like it could be a great mobile/touch game! Visually impressive, gameplay wise, I actually like the controls, however it's the level design I feel like could be improved, a few levels felt random to me (but when I did them I was at 20fps so prob would feel a lot better now that I fixed and can run it at 60fps), I'm not sure how much health has the boss though. But yeah, amazing art! The idea is cool but the tilting feels far to drastic and uncontrolable. The gameplay is there but it was a cool idea ( was using a joystick I wish it was a little easier to control. Keyboard controls are not very usable but if you have a controller (or a flight stick...) it's awesome! This game is beautiful until the screen starts shaking. And I think I agree that this doesn't really fit the genre, it is more of a ball rolling puzzle game with enemies than a bullet hell without precise controls. The boss is the only really bullet hell-y level. Don't get me wrong though, the levels leading up to the boss were really fun, but the boss was just frustrating. We tried to explore 2 faces of what could be a ball rolling bullet hell, all the rooms before the boss are as much as careful planning as dexterity, some even letting you choose to complete the level in a peaceful way without even killing an enemy without consequences since we also decided to take the scoring out, going for a much more peaceful experience. The boss on the other hand is pure dexterity and patience and we wanted it to feel like hitting a wall after all the peacefulness and really mean the end of an adventure. While the game looks STUNNING, I did not care for how the controls. Maybe I am just bad (well, I am bad at it), but I think that most of the game didn't really fall near the bullet hell genre. 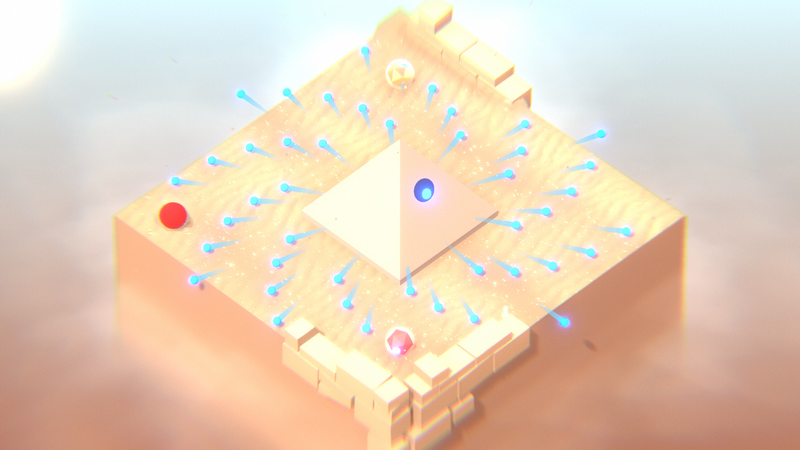 The once exception is the pyramid boss, but given how poorly I am able to control my trajectory, I could not for the life of me dodge his attacks more than once after a fluke. All of that being said, I think the game is really unique and can be really fun if maybe you will slow down player acceleration just so that it would be easier to control, and maybe turn down a notch on the screen shake effects that make it hard to see what's going on.